Universities have an important role to play in improving refugees' living conditions and promoting integration, according to experts at a conference in Rome. But a UN representative at the meeting said just one percent of refugees worldwide have access to higher education. The education provided by universities all over the world has a "key role" to play in improving refugees' living conditions in crisis situations and in promoting genuine integration in host countries, according to academics and experts at an international conference at La Sapienza University in Rome. 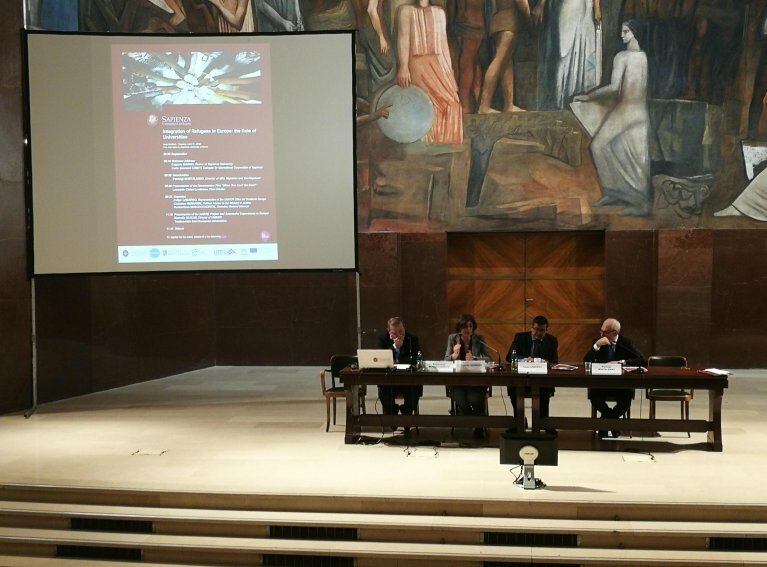 The conference, entitled "Integration of refugees in Europe: the role of Universities" is part of the project Erasmus+ "InHere - Higher Education supporting RefuLgees in Europe", and is coordinated by the Union of Mediterranean Universities (UNIMED) in partnership with La Sapienza, Barcelona University, the European University Association and Campus France. The meeting in Rome aimed to promote the opportunities offered by European universities to refugees. "There is a strong consensus among economists that migrants benefit host countries," said Pierluigi Montalbano from La Sapienza. UNHCR Southern Europe representative, Felipe Camargo, said of the 65.5 million refugees, internally displaced persons and stateless persons, "just 1 percent have access to university." Refugees' skills "are a resource" for host countries and education "is a key to integration" because a "refugee who has been educated is a factor of growth" for a country," he said. Italy "is in a period in which it can draw benefit from refugees", Camargo added, saying steps need to be taken to promote development-oriented education, facilitate mobility between countries and promote investment in refugee university lecturers. "Much still needs to be done, it is a key challenge in Europe," he said. Kostantinos Moschochoritis, the Secretary-General of INTERSOS, an Italian humanitarian organization, highlighted the importance of education for tackling emergency and crisis situations and not just for promoting integration in host countries. "The possibility for children to attend school in refugee camps is a game-changer" because "education creates a protected space for children, it gives the mothers space and prevents the creation of a lost generation," he said. "Universities can provide a universal a response" to the refuge crisis "based on human rights including the right to education," the director of UNIMED, Marcello Scalisi, said. "Universities have the duty to influence the political institutions," he added.